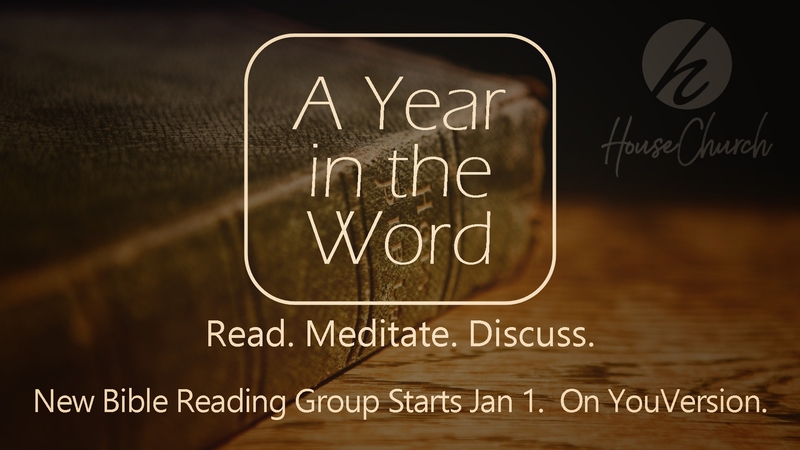 Join us as we read the Bible together this year! We can do this! Together we will be using YouVersion’s The Bible App on our smart devices or the web to read the “The Entire New Testament Psalms and Proverbs in a Year.” Friend request Pastor Sean and he will invite you to join the House Church group, or view the invitation at Bible.com, for accountability and encouragement as we seek God’s power and inspiration in His Word in 2019. Make sure you are a part of this life changing experience! Join us today!